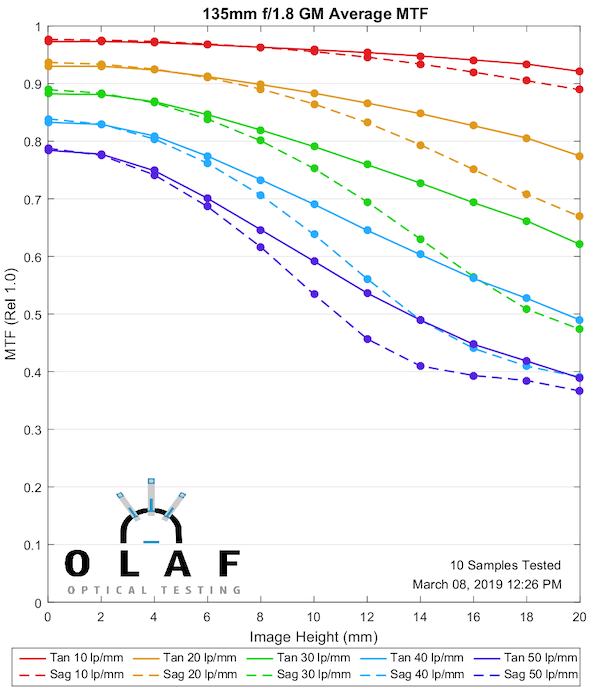 The Sony Prime Lenses have been added to the site's Camera Lens MTF Measurements Comparison Tool. Once again, I'll share my favorite chart in this post and will this time add a comparison in the above link. The Sony FE 135mm f/1.8 GM Lens is razor sharp. Did I pick the best? Go determine out which Sony lens produced your favorite MTF results. Note that the Zeiss Loxia and Batis prime lens results are coming soon and many additional Lensrentals-sourced test results are promised.